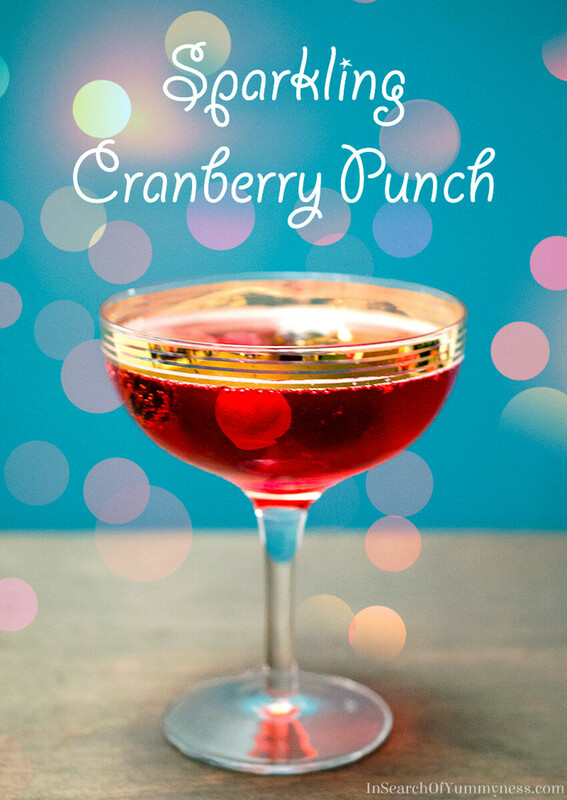 This sparkling cranberry punch is the perfect non-alcoholic party drink! It’s tangy, easy to make and only has five ingredients! 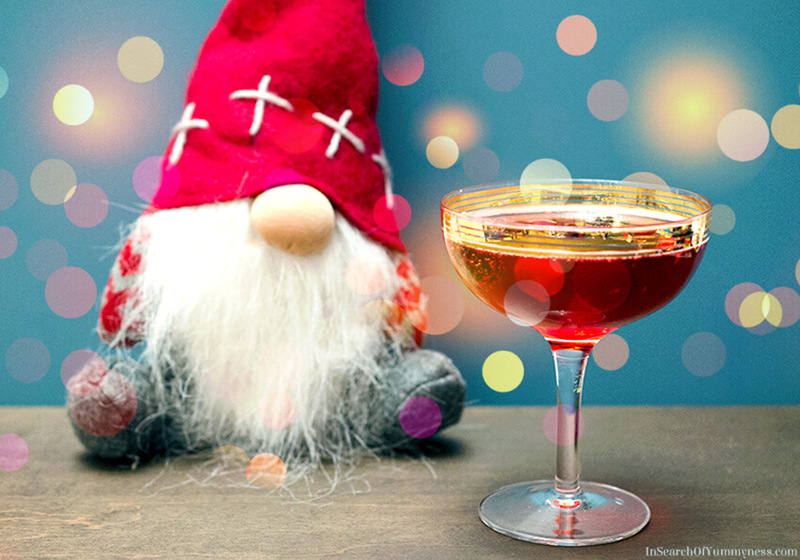 Mix up a batch for your holiday or New Years Eve party! I’ve been reading about a lot of holiday traditions this year. Of course, you have the classic traditions like trimming the tree, watching retro Christmas movies and decorating gingerbread houses. Then there are the more modern traditions of watching the first Die Hard movie, or hosting Harry Potter marathons (yes please, I’ll bring the Butterbeer!). My family doesn’t really have any holiday traditions like that anymore though. We do decorate a tree, but we never seem to have time to do it in a relaxed way. When we were little, my mom would get my brother and I to help decorate the tree and it would be a fun thing to do. Now that we’re all older, decorating the tree just doesn’t feel quite so… magical? I think that’s the case with most holidays now though. Somehow, they just lose their sparkle as we get older. Speaking of sparkle, one thing that has remained consistent during the holidays is my mom’s sparkling cranberry punch. 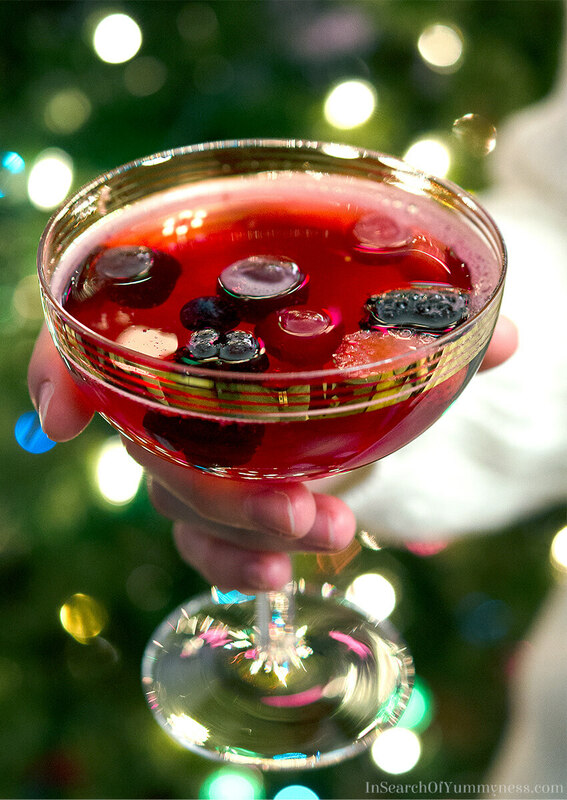 This festive drink always makes an appearance if we’re having a party, and sometimes we’ll just mix up a small batch for ourselves. My mom has been making this punch for years, and it has become a family favourite. There’s really not a lot to this sparkling cranberry punch recipe – it’s mostly ginger ale, frozen cranberry juice and sugar. There is one secret ingredient though: Angostura bitters. You only need a few dashes, but it adds a depth of flavour that you can’t recreate with anything else. While this recipe is non-alcoholic, the bitters do contain alcohol (44.7% alc./vol). Even though you’re not adding very much to the mix, be sure to omit the bitters if you’re making this recipe for kids or expecting moms. The punch is still really good without the bitters. If you want serve this sparkling cranberry punch the old-school way, you need to mix everything in a big punch bowl and float a fancy ice ring in it. These days, we prefer to just mix it all in a nice glass pitcher and pour our guests a glass as they come in. You could make the punch ahead of time, before your guests arrive, but keep in mind that the ginger ale will lose its carbonation after a while. Your best bet is to assemble it right before you expect your guests to arrive, and make a fresh batch when you run out. Leftover sparkling cranberry punch still tastes great, but it won’t be as fizzy. If you want to make a smaller batch of punch, mix everything except the soda into a pitcher. Pour some of the mixture into a glass, and top with the ginger ale. This way, you can enjoy the punch all week without worrying about the soda losing it’s fizz! The type of frozen fruit you use in tis recipe is totally up to you. It’s delicious with frozen mixed berries, tropical frozen fruits like mango and pineapple, or even just frozen cranberries. If you don’t like having fruit in your punch, you can just omit the frozen fruit and use ice cubes instead. I prefer the frozen fruit though, because they keep the punch cold without diluting the drink. 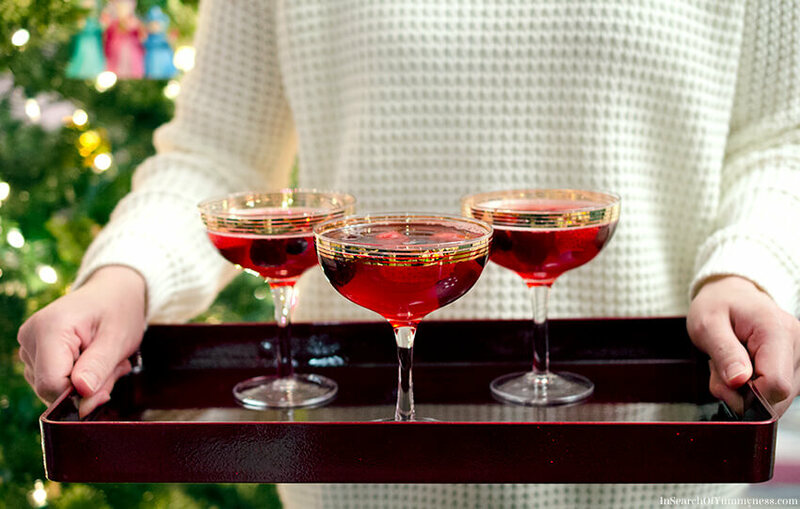 This sparkling cranberry punch is the perfect non-alcoholic party drink! It's tangy, easy to make and only has five ingredients! Add the ginger ale and frozen cranberry juice to a pitcher. Mix to break up any large frozen pieces of juice. Add some sugar, and taste the mixture. If it's not sweet enough, add more sugar as needed. Add the frozen fruit and bitters, if using. Stir gently to combine and serve immediately. 1. Mix everything except the soda into a pitcher. 2. Pour some of the mixture into a glass, and top with the ginger ale. 3. Store remaining punch mix in the fridge and add soda when serving. This is not a sponsored post. However, some links are Amazon affiliate links.